Happy Holidays from RockOrange and our Elf “Off” the Shelf. Our elf has been really busy this season. Click on the video to watch what he’s been up to. From the pitch to the runway, RockOrange provided solid, fresh ideas that helped elevate Cotton Inc.’s signature program, Cotton’s 24 Hour Runway Show. Now in its third year, the show had been a local activation success story in Miami Beach’s Ocean Drive, but that success had not resulted in any meaningful local, regional or national media attention a show of this size and scale deserved. That’s where RockOrange came in. This year, together with the Cotton team, we set out to do it bigger and better. 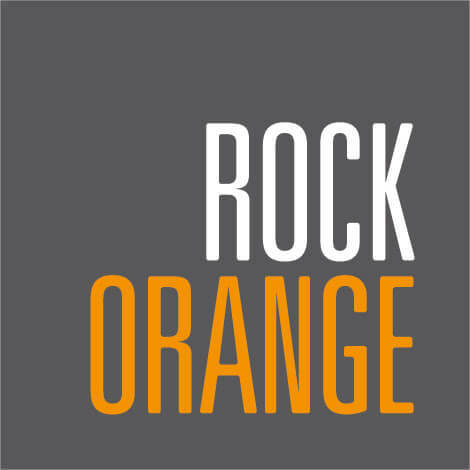 Back in April 2014, RockOrange created a fully integrated, multi-pronged strategy designed to generate massive press coverage across all platforms. The strategy was developed in three phases: Pre, During and Post Event. Cotton’s 24 Hour Runway Show was a challenge and one of the most exciting projects I’ve ever been a part of. It’s Cotton, “The Fabric Of Our Lives” — who doesn’t know the jingle from the TV campaign? The pressure was definitely on as we worked with such an iconic brand. So we set out to not only raise the profile of Cotton’s 24 Hour Runway Show but also make cotton synonymous with fashion. As part of our PR initiatives, we reached out to national newspaper and magazine fashion editors and influencers, sending them an exclusively curated Cotton Box with key cotton pieces, demonstrating cotton’s versatility. We also developed and distributed several releases throughout the pre-event phase to build momentum for the must-watch style event of the year. In addition, we secured the show’s celebrity talent and influencers for 24 Days of Cotton stories. They say it takes a village to raise a child, but this will also hold true to putting on a 24 hour fashion show. It takes a village — or two — and we couldn’t ask for a better partner to work with. With the long hours and several months of planning, we built more of a friendship bond with our client. The fashion marathon featured a star-studded list of hosts — E!’s Giuliana and Bill Rancic, Jason Kennedy and The Insider’s Michael Yo — musical performances by international sensation Jason Derulo and Fantine, renowned DJs spinning the turntables — such as Trey Smith and DJ Irie — and fashion icon Olivia Palermo. Also, the show featured more than 75 contemporary retail brands that showcase their fashionable cotton pieces down the catwalk. And of course, we can’t forget to mention one more little thing: We set a Guinness World Record for the world’s longest fashion show. Setting this record was not an easy task. After all, this is Miami, and we were all nervous about a four-letter word: R-A-I-N! After praying to the weather gods, we managed to pull off a record-breaking show in that was a success on many levels! Cotton’s 24 Hour Runway Show required the help of more than 50 hair and makeup artists, 60 models that walked the runway for a combined total of 96 dazzling miles, and more than 4,000 pieces of the finest cotton styles in the world! We had a team of 15 Rockstars on-site to manage the VIP lounge, media check-in, and, of course, take care of our celebrity hosts. The real work began after the models had gone home and the glitz and glamour faded away. Everyone in PR knows this: The post-event coverage requires a team dedicated to media pitching, from crafting the messaging for the press releases, to developing compelling photo captions and editing b-roll, among other tactics to garner local and national press coverage. We rocked it! The numbers speak for themselves: 579 million media impressions across digital, TV and print, with an ad value of $1.1 million. And if you are wondering, you do work 24 hours. Don’t think the 45-minute nap at 4 a.m. counts as sleep. All worth it!